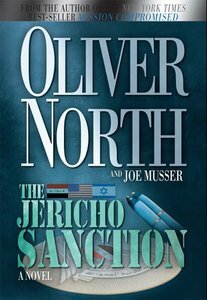 Oliver North follows his best-selling novel "Mission Compromised with a suspenseful, action-packed sequel set in Israel and Iraq. Lt. Col. Peter Newman (USMC) and his family are threatened when his cover is blown. While preparing for a clandestine U.S. mission to find Iraqi nuclear weapons, Newman's wife Rachel is kidnapped in Jerusalem--along with her friend, the wife of an Israeli Sayeret counter-terrorism operative responsible for Israeli terrorist assassinations, Newman has to choose whether to go ahead with the mission or abandon it to find and rescue his wife. But Israle has discovered that Iraq has nukes and plans a preemptive attack on Baghdad with Jericho missiles. If that happens, and Islamic terrorists like Saddam and bin laden respond in kind, it might trigger a Middle East was that could global, It seems as if nothing can prevent an Armageddon.